Yesterday I visited the Grant Museum of Zoology. It is a place found in London, not far from the better known Tottenham Court Road underground station. Its pretty small museum as the museums go, but what is interesting in it is not the size, but rather the ambient inside. When you enter it doesn't really looks like something that belongs to the 21st century. On first sight it is a random collection of skeletons and different parts of animals displayed in over-packed glass displays with here and there specimens with freak rather scientific value. In short this is how I imagine the cabinets of the 18 centuries naturalists and explorers looked like. As far as I understood on display is only small fraction of what that museum owns and there are ongoing some research and educational activities, and actually the scientist, researchers and educators can be seen working in public placed desks on the view of the visitors and if anybody wants to can speak with them. If anybody wonders to visit or not that place I'd say it worth to spend an hour there, because this is how long takes the whole tour. The place is pretty small, but there are still a few interesting things, like the skeletons of the extinct Thylacine and Quagga, the huge Elephant Bird egg or the skull of the Asian water buffalo with its impressive sized horns. There are many other things of course that if one wants can spend even all opening hours (13 to 17 every day) looking at them. 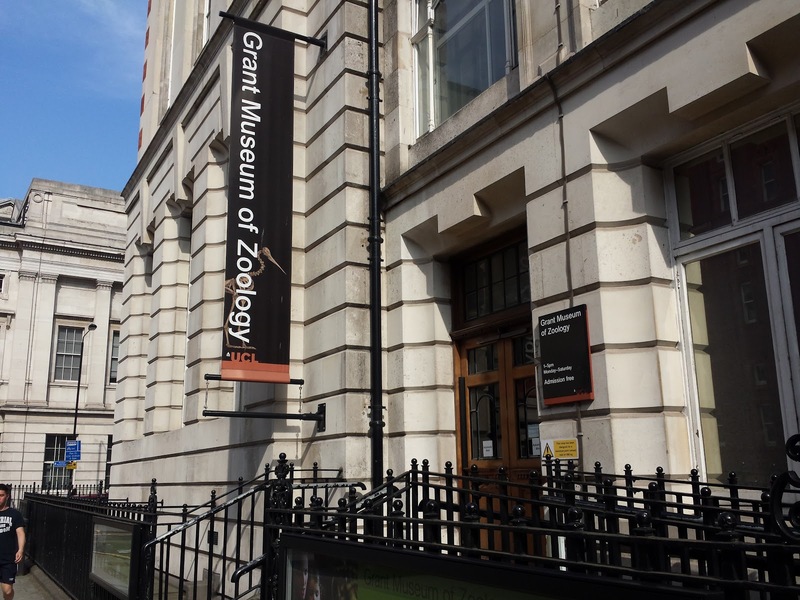 "The Grant Museum of Zoology is the only remaining university zoological museum in London. It houses around 68,000 specimens, covering the whole Animal Kingdom. Founded in 1828 as a teaching collection, the Museum is packed full of skeletons, mounted animals and specimens preserved in fluid. Many of the species are now endangered or extinct including the Tasmanian Tiger or Thylacine, the Quagga, and the Dodo." So, I'll post a few short video clips and photos from the visit, enjoy.